Is your sign up the most popular on the block? Sometimes signing up for your events, volunteer opportunities and work shifts is so simple that there’s a rush to claim favorite spots. Even up the odds for participants by adding start or stop dates to your sign ups. No more complaints that primo work shifts only go to the people who are always on their devices. 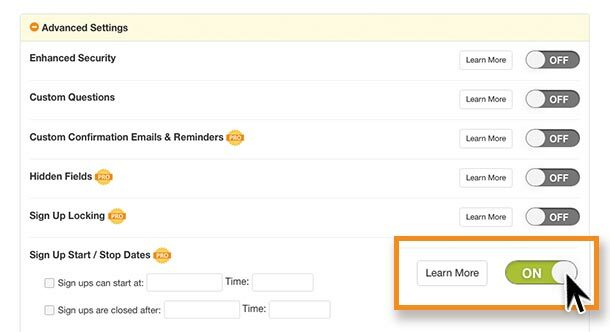 Plus, you can save yourself administrative headaches by closing sign ups on a specific date, which means no more last-minute swapping that throws your parent-teacher conference schedule or staff luncheon headcount for a loop. 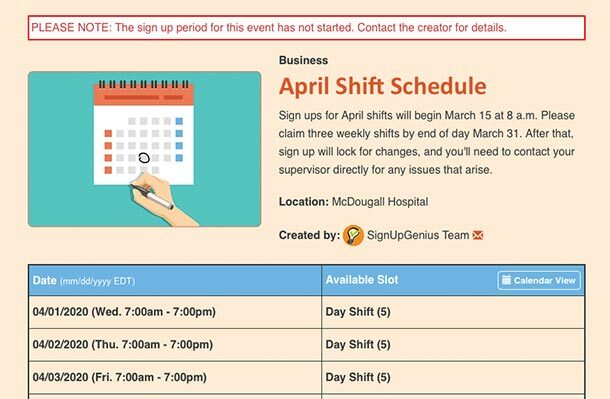 To get started, begin creating your sign up as usual in the creation wizard, adding in your general details, times, dates and slot information. Once you reach Step 5 — Settings — click “Advanced Settings” toward the bottom to see an array of options. With a Gold or Platinum subscription, you’ll be able to turn on “Sign Up Start/Stop Dates.” From there, you can enter the date and time your sign up should open and close (you can choose one or the other, or both options). For added customization, you can also hide sign up buttons before the sign up opens or after it closes. 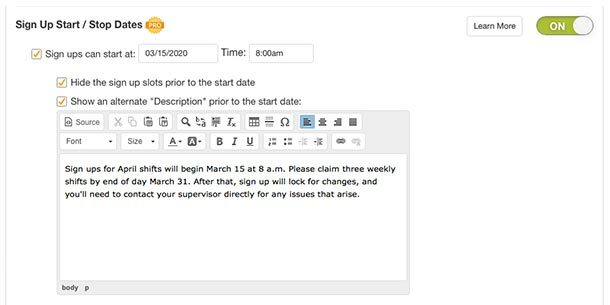 You can also edit your sign up description to display a custom message before it opens or after it closes for participants. Need even more security? Select “lock changes to sign ups after closed” to ensure no changes occur. Send out your email invitations, and let the stress-free organizing begin! 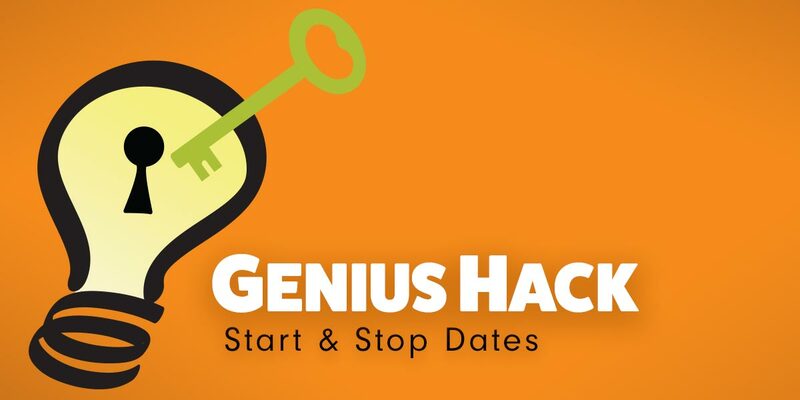 Try the Start/Stop feature today! Download sign up data with reports. Hide names on your sign up to protect privacy. Gather information with custom questions. I logged in with a wrong name, I would like to delete it and log in anew.